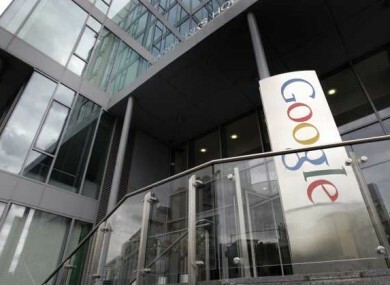 The European Consumer Organisation has applied to be a formal complainant in the European Commission’s antitrust investigation into Google and its search policy. The EUROPEAN COMMISSION’S (EC) antitrust investigation into Google and its search policy has taken another twist as the European Consumer Organisation (BEUC) has applied to be a formal complainant. While the EC has reached a provisional agreement with Google about suggested changes, the BEUC feels that these changes do not properly address consumer concerns. The BEUC, an umbrella body for all the EU member states’ national consumer groups, was originally an observer in the antitrust case, but its application will mean, if accepted, it will be directly involved. The organisation believes that the proposals made by Google, to include rival search engine results alongside its own, aren’t acceptable since these suggestions aren’t neutrally-assigned. The reasons include allowing Google to continue controlling the type of results shown and results will not be based on an auction method instead of merit or relevance – meaning those who can pay the most will appear in the results. In a statement, the director general of the BEUC, Monique Goyens, said the main danger was that users would have the impression that searches are decided neutrally. The placement of three rival services beside Google’s preferred results is not yet merit-based and so they are not neutral. Such stacking will lead to broader problems for the market further down the line. This kind of online real estate does not come cheap, so affording Google too much discretion to decide who is a ‘rival service’ is weighted in favour of those with the greatest commercial clout. Clearly the issue requires further examination. EU antitrust rules are there to protect fairness within the European Single Market. It is critical that a solution recognises a ‘non-discrimination principle’ and does its utmost to allow users to get back to searching, not being led. Google, which currently owns more than 90 per cent of the European search market, proposed to include alternative search results alongside its own search results as part of a deal with the EC. However, many within the organisation were unhappy with the EU Antitrust Commissioner Joaquin Almunia’s deal with Google, who was criticised for not testing Google’s latest offer with rivals and customers, for failing to consult commissioners before accepting Google’s commitments and over options for publishers about the use of content in Google’s news service. Email “Google's antitrust case develops as major consumer group joins case”. Feedback on “Google's antitrust case develops as major consumer group joins case”.